Heartburn is a form of indigestion felt as a burning sensation in the chest, caused by acid regurgitation into the esophagus. Heartburn has heart as part of its name but it does not have anything to do with heart in fact, it does not affect it. Heartburn can also be described as a painful burning feeling just below or behind the breastbone. Most of the time it comes from the esophagus, the pain often rises in your chest from your stomach. It may also spread to your neck or throat. Heartburn is a condition that occurs when stomach acid backs up into the esophagus that is the tube that carries food from your mouth to your stomach, it usually occurs after eating a big meal or while lying down. The feeling can last for a few minutes or a few hours. How does pregnancy cause heartburn? During pregnancy some hormones increases while some decreases which means there would be changes hormone levels. Some may act as a muscle relaxant that helps to prepare your body for childbirth. The downside is the increase of some hormones may also relax the lower esophageal sphincter. That's the valve responsible for keeping stomach acid from moving up into the esophagus, where it doesn't belong. If the acid moves into that area it can irritate the esophagus causing heartburn. 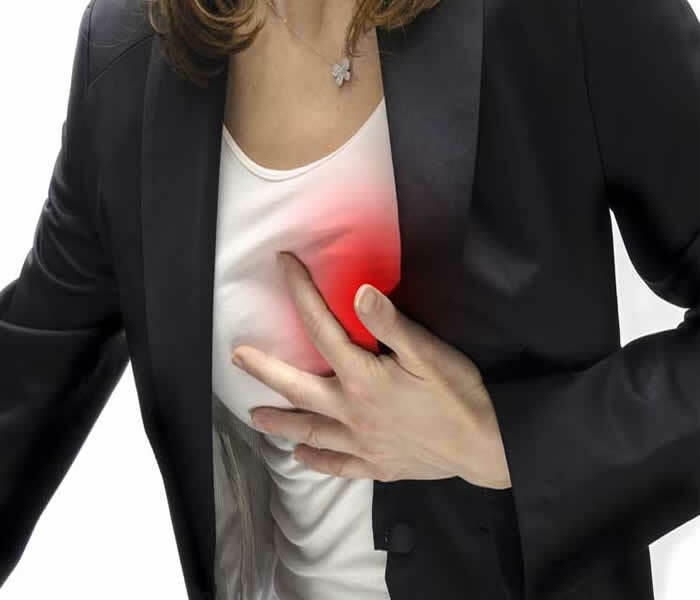 If you have ever had a large meal or eaten too fast, there’s a good chance you have experienced heartburn afterwards. Think about it; your stomach has to work overtime because you added too much food, too quickly. It's healthier to have 3 small meals a day that are supplemented by healthy snacks whenever you feel hunger coming on. You won't get over-full, which will prevent your stomach from overproducing the acid that causes heartburn. And, slow down. Put your fork and knife down between bites, and chew your food 20 times before swallowing2. It's also important to avoid eating too close to your bedtime. The carbonated gas in soda puts extra pressure on the esophageal sphincter, promoting reflux. Heartburn usually consists of a sensation of burning or discomfort after eating, located in the middle of the lower chest underneath the sternum (breastbone). Your doctor may take to find out. A full stomach can put extra pressure on the lower esophageal sphincter, which will increase the chance that some of this food will reflux into the esophagus. Do not eat within two to three hours before bedtime. Do not wear belts or clothes that are tight fitting around the waist. Clothing that fits tightly around the abdomen will squeeze the stomach, forcing food up against the LES, and cause food to reflux into the esophagus. Clothing that can cause problems include tight-fitting belts and slenderizing undergarments. Nicotine relaxes the esophageal sphincter. Smoking also stimulates the production of stomach acid. Read this article to learn other ways smoking can worsen heartburn. Don't drink alcohol. If you still want to drink alcoholic beverages, follow these tips. Eat foods that rarely cause heartburn and avoid those foods that will often cause heartburn. Limit your intake of acid-stimulating foods and beverages. Lying down with a full stomach can cause stomach contents to press harder against the LES, increasing the chances of refluxed food. Lying down flat presses the stomach's contents against the LES. With the head higher than the stomach, gravity helps reduce this pressure. You can elevate your head in a couple of ways. You can place bricks, blocks or anything that's sturdy securely under the legs at the head of your bed. You can also use a wedge-shaped pillow, to elevate your head. Read this article for more tips on easing nighttime heartburn. Obesity increases abdominal pressure, which can then push stomach contents up into the esophagus. According to some statistics, approximately 35 of overweight persons experience heartburn. The good news is that for many people, as little as a 10 percent decrease in weight will improve their heartburn symptoms. While stress hasn't been linked directly to heartburn, it is known that it can lead to behaviors that can trigger heartburn. Follow these relaxation tips to alleviate stress, and thus make stress-related heartburn less likely. Antacids reduce the effect of the acid in your stomach. They can provide fast, short-term relief. Many OTC medicines combine different antacids. H2 blockers reduce the amount of acid your stomach makes. While they don’t relieve symptoms right away, H2 blockers relieve symptoms for a longer period of time than antacids. They usually start to work within an hour. Medicine like Ranitidine (Zantac) and famotidine (Pepcid). Heartburn is not a serious sickness it it is treated on time but if you have heartburn frequently, it can lead to esophagitis (an inflamed lining of the esophagus). If esophagitis becomes severe, your esophagus might narrow and you might have bleeding or trouble swallowing. If you get more than occasional heartburn, it may be a symptom of acid reflux disease, gastroesophageal reflux disease (GERD), an inflamed stomach lining (gastritis), hiatal hernia or peptic ulcer.